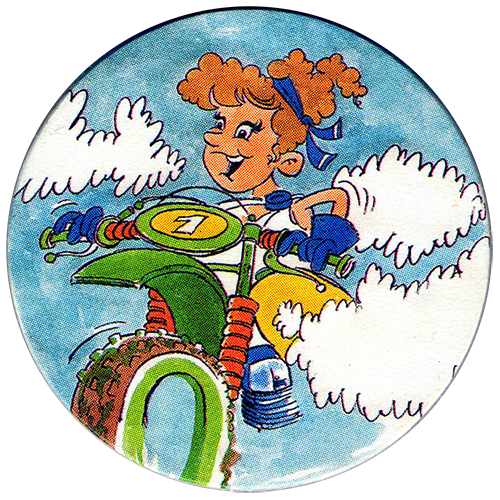 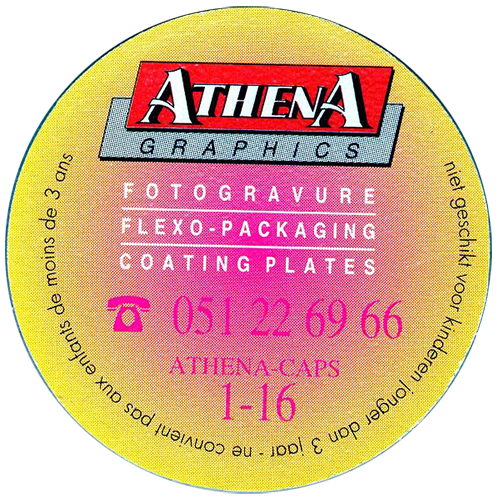 Info:These pogs were produced by Athena Graphics, a packaging printers from Belgium. 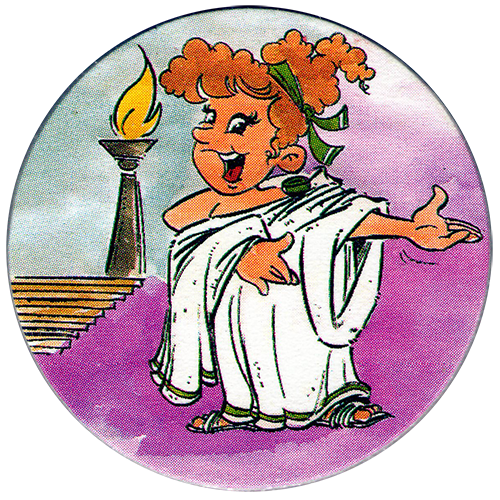 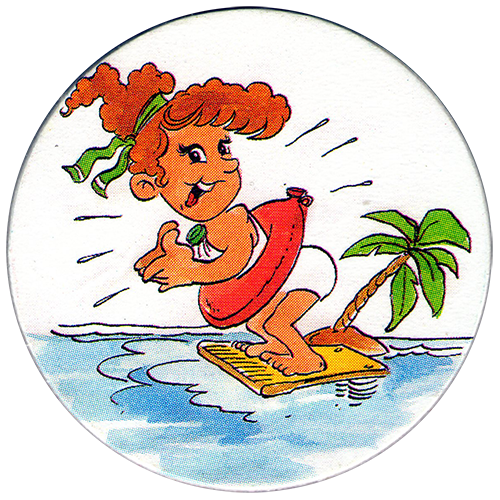 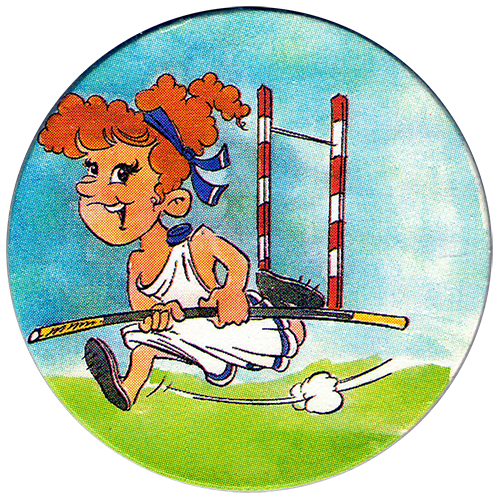 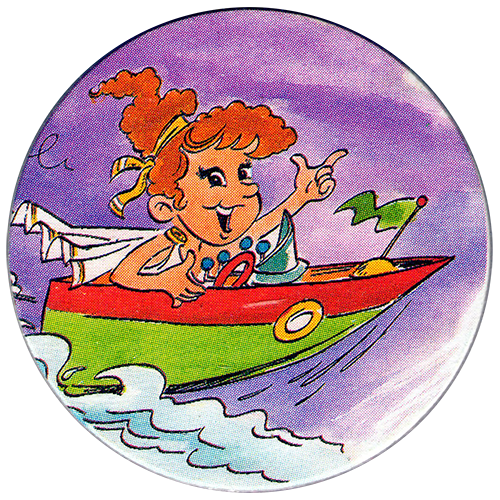 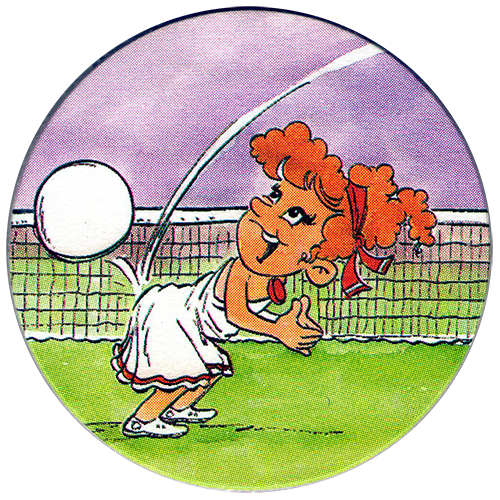 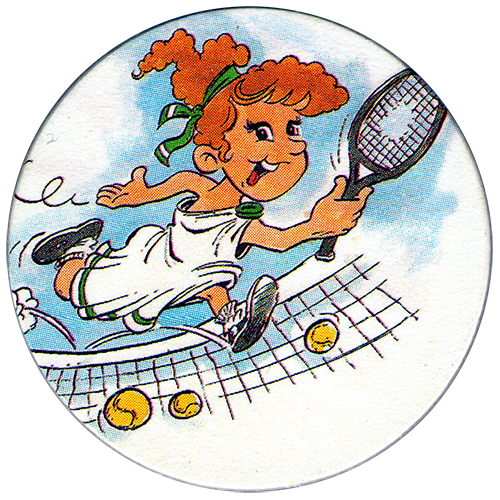 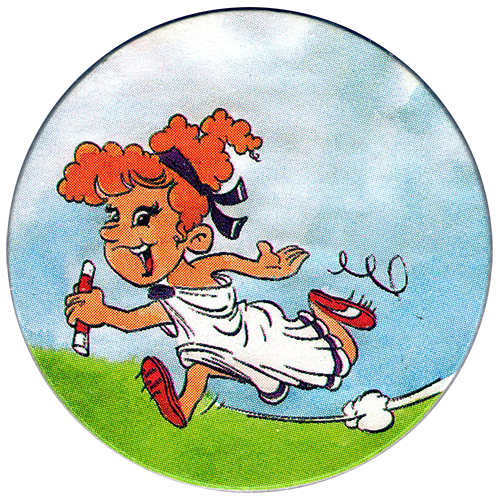 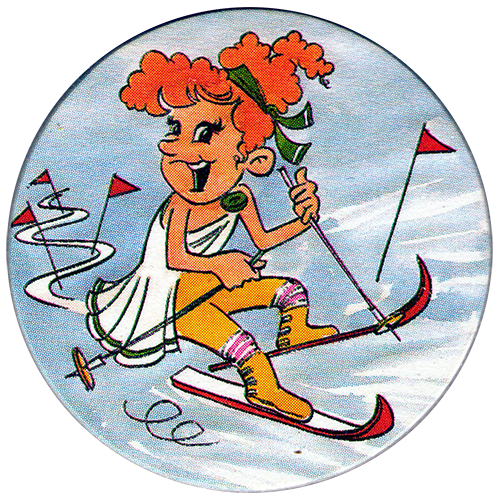 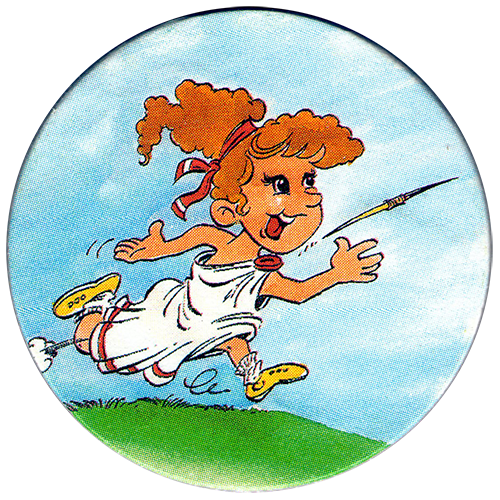 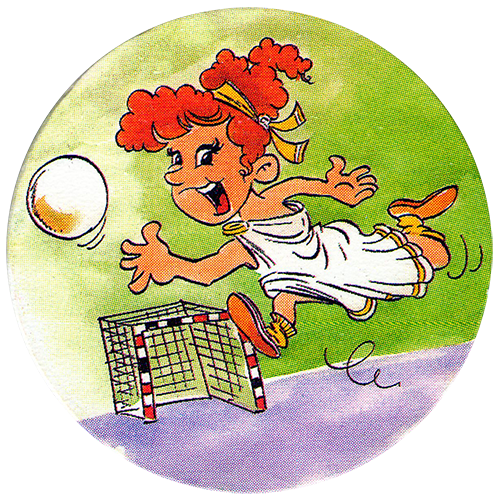 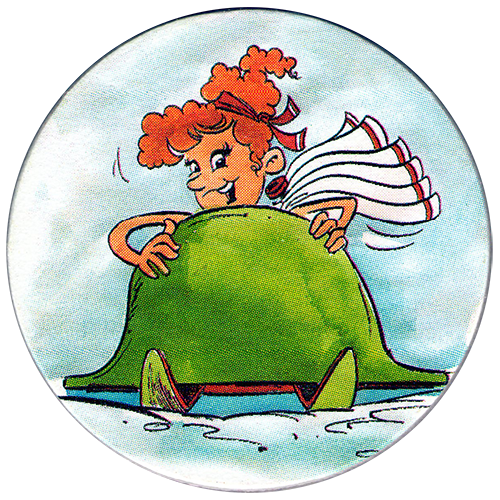 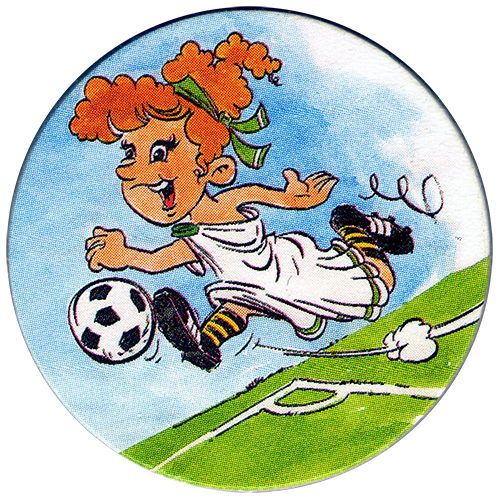 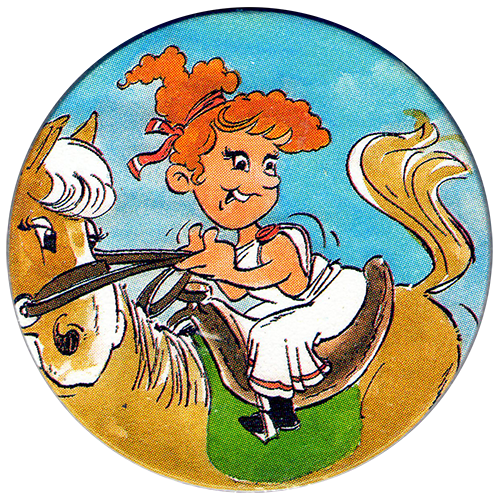 The designs show Athena, the Greek goddess, participating in various sports. 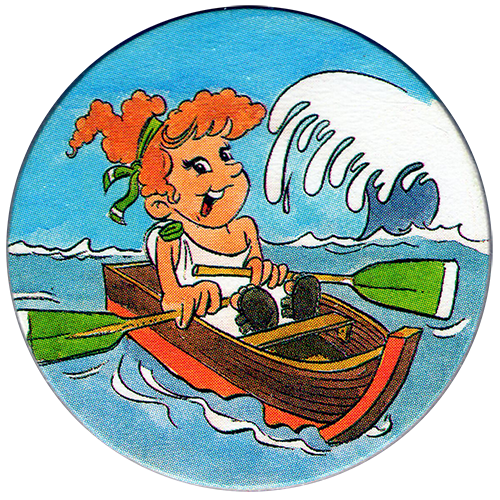 There are 16 caps in the set, and the set was produced in two variations with differing back designs, making 32 to collect in total. 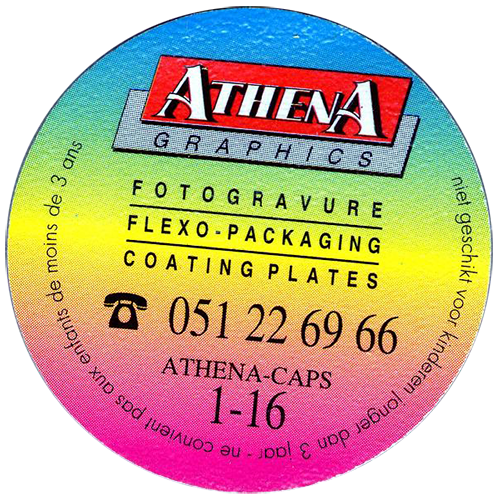 They were likely produced by the same company as Crea caps. 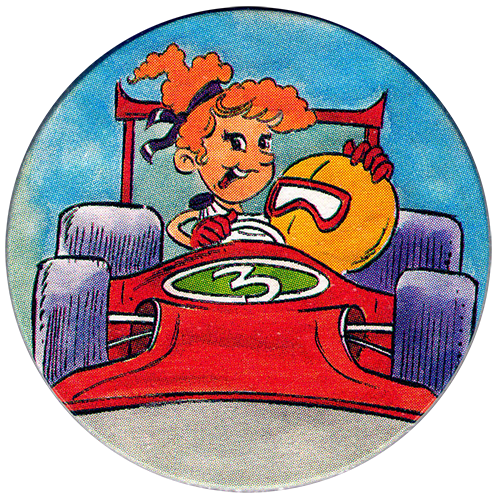 Thanks to Vincent for the scans and information.